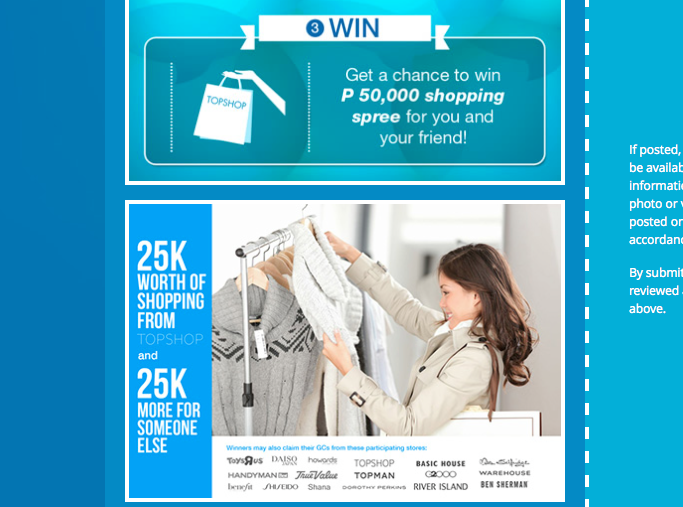 Modess: SHOP 4U & ME - WIN P50k Topshop GCs for You and Your Friend! Have you watched Julia Barretto's new commercial? If you haven't, click this page. 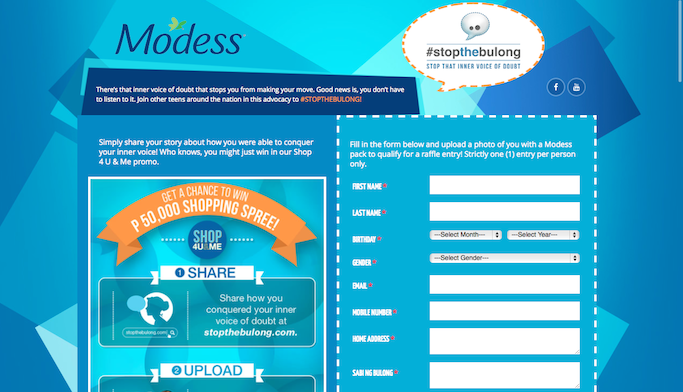 Aside from encouraging girls to fight the "inner voices of doubt", Modess is also spreading this advocacy through a #StopTheBulong online contest where you can win P25k Topshop shopping spree (Plus another P25k Topshop shopping spree for your friend)! All you have to do is share your own experience on conquering these doubts. Inspire, and win! For the complete mechanics, visit this page. Lots of things happened to me the day I let go of inhibitions that only I can set for myself. These things were self-created, only YOU can fully stop it. One story that I can share happened just a few weeks ago in Boracay. I don't know how it started, but I always have that "kulelat ako" connotation for myself. Nakaka low self-esteem sya growing up, and now I know better that it's a wrong way of expressing what I formerly though of as humility. But lately, time and experience and a Coldplay song taught me that "If you never try you'll never know just what you're worth". At 28, I am not afraid to go YOLO (in a good and wholesome way, hehe) by trying once in a lifetime things. Hindi ko sasabihing hindi ko kaya, unless hindi ko pa nagagawa. In this case, it's Boracay's Oceanarium Walk. Mahirap siya, lots of my friends didn't go for it, others quit. Meanwhile, I "turned off" all the negative things in my head, which ended with just me doing the activity... And had a unique, once-in-a-lifetime experience that I can be proud of!